A new week means a new scent! Wednesday is now my favourite day of the week! I decided to keep it simple, and put one scent in both of my warmers. I wanted something a little more summery, since we seem to be having such beautiful sunny days - but it's still been cold! BananaBerry - I find this to be a unique scent. It's creamy, and smooth. The banana in this one is very light, and you get more of the strawberry scent. 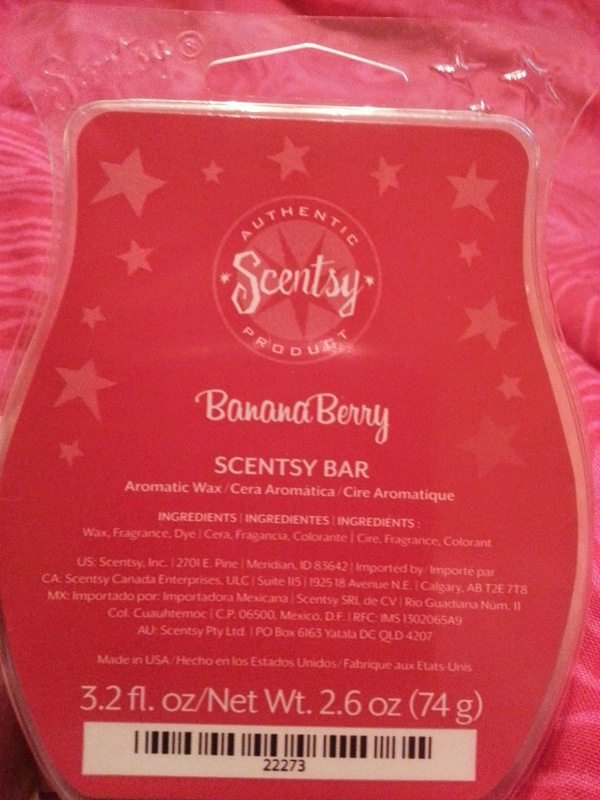 Scentsy describes this one as "lusciously sweet banana cream layered with succulent strawberries." and I would say it's very true to the description. I enjoy this one, and don't warm it nearly as much as I should!